Are you still using 20th Century tech for audio streaming? Are you worried that switching to a more technically advanced system—like Wi-Fi—will take more expertise than you have? Or that the learning curve for your guests or customers is too high? Well, lucky for you, technology is on your side—switching your audio to a Wi-Fi streaming system can be as easy as plug-and-play. Globally, there are 1.9 billion smartphone users, why not provide audio for your guests on a device that they are already familiar with and comfortable using—a system so simple to use that everyone with a smartphone will figure it out in a matter of seconds. Audio Everywhere from Listen Technologies is the most advanced Wi-Fi streaming system on the market. There aren’t many systems as easy to connect as Audio Everywhere. The system connects to your existing Wi-Fi network, uses existing audio channels from your music systems, set-top boxes or other audio sources. In addition, it uses negligible internet bandwidth and won’t interfere with the user’s internet access. Best of all, it’s scalable—you can use one or many audio sources and for hundreds of simultaneous users. Connect a CAT-5 cable to your wireless network. Connect the audio from your audio sources, like the output of a mixing console. 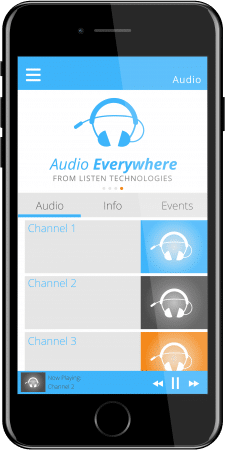 Audio Everywhere from Listen Technologies is a breeze to set up but will make a huge difference in your customer experience. Download the Audio Everywhere app from the App Store or Google Play. Connect to the venue’s wireless network. Open the app and start streaming audio! Your customers or guests will appreciate being able to hear critical calls in games, your inspirational message, dialog on their favorite TV show, or breaking news. Plus, they can quickly switch between shows or audio sources. The Audio Everywhere app is easy to use and delivers reliable, crystal-clear audio. If you’re not using wireless audio streaming, it’s time to embrace innovation. Switching from a wired system to a seamless, simple streaming solution is as easy as plug-and-play with Audio Everywhere from Listen Technologies. You’ll have it connected quickly, and your customers or guests can start streaming audio in a matter of seconds. Call us today at 1.800.330.0891 or click here to get Audio Everywhere! Performing arts centers around the world—like the brand-new Hale Centre Theatre in Utah—turn to induction loop technology for assistive listening systems. But that’s probably not the right fit for a courtroom. And what works in a classroom might not work in a movie theater. In this type of system, infrared light waves—like the technology in many TV remotes—transmit sound to an IR receiver and headphones. The system floods a room with infrared light using IR radiators. Users don’t need hearing aids. They get sound via a receiver and headphones or earpiece. So, it’s an excellent solution for classrooms, courtrooms, and corporate boardrooms. And it’s ideal for anywhere a private audio signal is necessary. That’s because the signal can’t pass through walls or be received outside a specific area. This system is relatively low-cost and can deliver multiple audio sources. One of the drawbacks of IR, though, is that it is traditionally dependent on line of sight in order to receive the light signal. Listen Technologies offers ListenIR, which delivers higher-quality audio, with twice the power and coverage of other receivers. Listen’s receivers are IR transparent, allowing them to receive light waves from all angles, greatly reducing signal drop out. The system, which can have six simultaneous channels, is streamlined for better management with simple and smarter maintenance solutions. The receivers are easier to store, wear, and use because they’re half the size and weight of other listening devices. Our innovative battery technology saves money as well as the hassle of battery management and disposal. Plus, the integrated neck loop/lanyard delivers better audio to users with cochlear implants and telecoil hearing aids. If you’re looking for a private, lower cost, easy-to-use assistive listening solution, check into the ListenIR system. If you’ve listened to a radio or used a walkie-talkie, then you’re familiar with radio frequency. In an assistive listening system, sound is transmitted via radio frequency to a receiver and headphones. It also may deliver the sound directly to a receiver connected to a cochlear implant or telecoil hearing aid. Like the IR system, users don’t need hearing aids. This system can be used in small or large spaces, but it isn’t ideal in situations where privacy is necessary because the signal isn’t contained like an IR system. People often use this low-cost system in classrooms, public meeting spaces, churches, conference rooms, and nursing homes. If you’re looking for a superior RF assistive listening product, Listen Technologies offers two options, with a maximum of 32 simultaneous channels. The 72 MHz system has a range of up to 1,000 feet, and is ideal for churches, performing arts centers, theaters, and more. We also have a 216 MHz system, with high-quality transmitters and receivers. The 216 MHz system is ideal for places where a larger RF signal is necessary, like at convention centers and stadiums. An RF system is perfect for everywhere from classrooms to concert halls. With an RF system from Listen Technologies, you’ll have a low-cost and high-quality assistive listening product. Many users consider the hearing loop the best option for assistive listening systems. Using an electromagnetic field, it sends sound to people with telecoil technology in their hearing aid or cochlear implant. When a person with a T-coil hearing aid or cochlear implant walks into a venue with a hearing loop, they set their T switch to on and instantly have audio streaming directly to their ears. Optionally, a hearing loop can also send the signal to a receiver connected to headphones or an earpiece, so people without hearing aids can use them. The drawback of this system is that it requires installation, so they’re usually more costly than IR and RF systems. That’s because a hearing loop requires the venue operator to install wire or flat copper tape loop on the floor of the entire venue. Also, like an RF signal, this system is not secure. Listen Technology’s ListenLOOP is the leader in hearing loop technology. 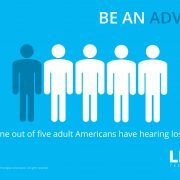 We help people with hearing loss have a superior listening experience without distracting background noise that can lessen hearing clarity. One of our latest installations was at the Hale Centre Theatre in Utah. “The hearing loop is giving so many of our patrons an experience they have never before had,” said Quinn Dietlein, Hale Centre Theatre’s development director and annual giving manager. A hearing loop is the most convenient assistive listening system for users. It delivers high-quality audio, and even people without hearing aids can use it. The latest in assistive listening technology is Wi-Fi. It’s precisely the same system as you use for your phone, laptop and tablets at home and just about everywhere else. A Wi-Fi system uses radio waves to send information across a network. With a Wi-Fi signal, any smartphone or tablet can turn into an assistive listening product. Listen Technologies always is looking for the best and latest tech for assistive listening. Now with Audio Everywhere from Listen Technologies, end users get best-in-class assistive listening and best-in-class Wi-Fi audio streaming. Users just need to connect to the Wi-Fi network, download the free app for iOS or Android devices and select a channel. Then the system will connect directly to Bluetooth-enabled hearing aids through the Wi-Fi-enabled device. It’s great for everywhere from churches to bars, universities to corporate centers. Seventy-seven percent of Americans own a smartphone, and about 50 percent own a tablet computer, so it makes sense to turn to Wi-Fi for the latest in assistive listening technology. With several types of assistive listening technologies, there is a right fit for everyone, everywhere. So, when you’re deciding on a system, consider the venue and whether IR, RF, loop, or Wi-Fi is best for the situation. So far 2017 has been a busy year for legislators and advocates who have diligently worked together to ensure equal access for the deaf and hard of hearing. For many, all that hard work culminated in March with the passing of legislation. On March 17, 2017, Governor Herbert signed HB 60 into law. With this signing, the state of Utah has made history as the first state in the nation to replace the term “hearing impaired” with “deaf and hard of hearing” throughout all Utah code. This change shows that Utah acknowledges it’s DHoH community not as something in need of a fix, but rather a rich, diverse, and proud culture. This small change speaks volumes and is paving the way for many other states to follow suit. At last count, four more states have put forth bills to strike the term “hearing impaired” from their codes and laws as well. We may be a bit biased, but Listen Technologies has never been more proud to be headquartered in the great state of Utah! In other good news, New York City has taken a giant leap towards accessibility and civic engagement with the passing of Intro-882-A. Sponsored by Council Member Helen Rosenthal, Intro 882-A requires a hearing loop be installed in any city-funded building project with one or more public assembly areas. 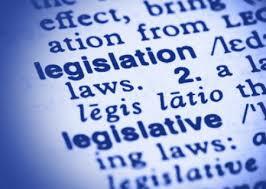 This legislation applies to all renovations or new construction with a cost of $950,000 or more. With projects under current capital planning, this will include close to 300 venues across New York Ci ty! “With this bill, the City of New York will ensure that more and more spaces every year will be truly accessible to those hard of hearing. Hearing loop technology makes such a radical difference in the ability of so many to participate fully in public life, and I’m proud that as a City we have moved to make it not just a priority but a requirement in our public investments. I want to thank the advocates whose hard work made this possible, educating me and other policymakers on the importance of this issue and helping us reach a path toward getting this landmark legislation passed,” said Council Member Helen Rosenthal. Other aspects of this bill were thoughtfully included to encourage the use and success of the newly installed hearing loops. Directional signage will be required in all public areas with loop technology installed. Additionally, Intro 882-A requires that information, security, and reception areas in all newly looped venues be made accessible via micro-loops. 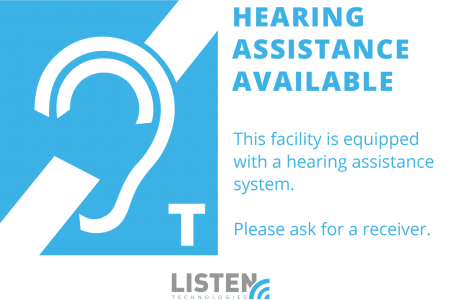 By July 2018, the office of the New York City Mayor will be required to maintain an online list of city managed facilities with hearing loops, including those slated to receive them going forward. New York City is the first major city in the United States to enact legislation of this kind. 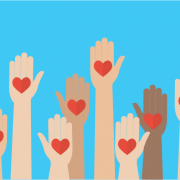 In doing so, they demonstrated that they value the input of their deaf and hard of hearing community members and are actively working toward inclusivity. Way to go New York City! 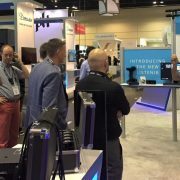 We have had an exciting week at InfoComm 2016. 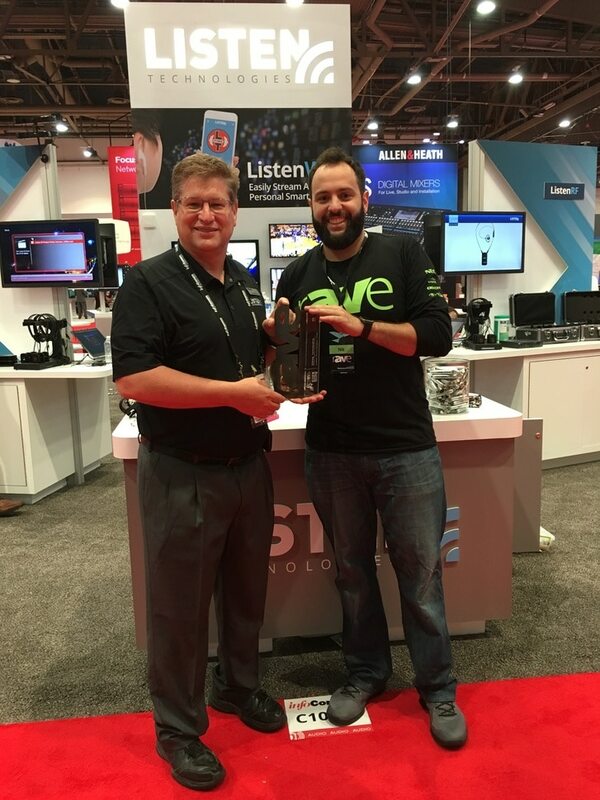 Listen Technologies is proud to have received not one, but TWO awards at this year’s show. 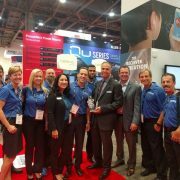 The first comes from our valued partner in distributing, Herman Pro AV who honored us with their “Vendor of the Year” award. Looking forward to many more great things to come with Herman Pro AV! 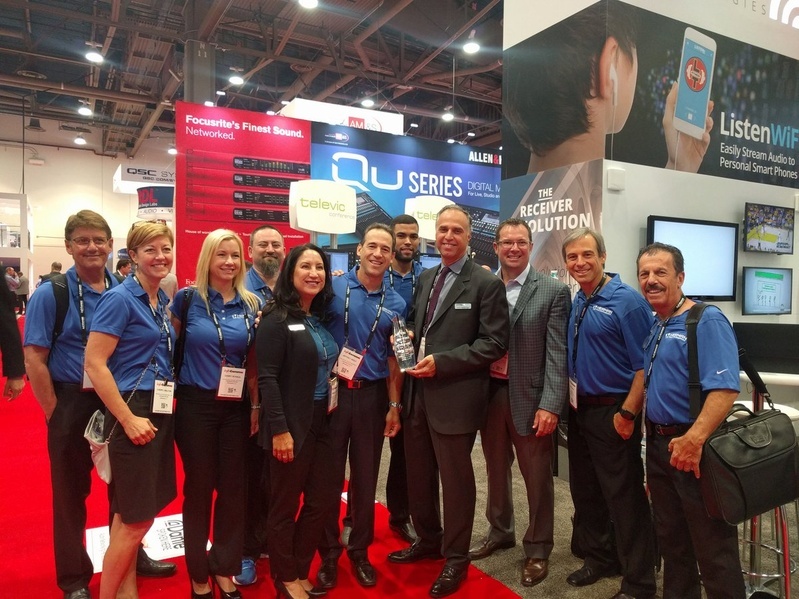 Listen’s Maile Keone, Chief Revenue Officer and Peter Papageorge, Vice President of Sales and Marketing accept the “Vendor of the Year ” award from Herman Pro AV. ListenTechnologies is also thrilled to be voted rAVe Publications Reader’s Choice for “Favorite Assistive Listening Product”. Nominated and voted upon by the AV community itself, the rAVe Reader’s Choice Awards are the voice of the people in the know-and they LOVE Listen Technologies! Tracy Bathhurst, Listen’s Chief Technology Officer accepts the rAVe Reader’s Choice award for “Favorite Assistive Listening Device”. InfoComm 2016: Who’s getting excited? We are!!! InfoComm 2016 is almost upon us and we are EXCITED! 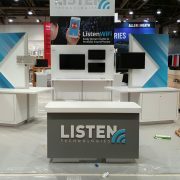 Listen Technologies Booth #C10519 is brand new this year and it is shaping up to be awesome! It takes a village to put together a show like InfoComm and our Listen village has been rocking it this year. Cory Paxman, Ryan Paxman, Ryne Carrillo, and Riley Hendrickson-Working hard to get us on our way. From dreaming to planning, packing to set up……we are almost there and we CAN’T WAIT! See you soon!